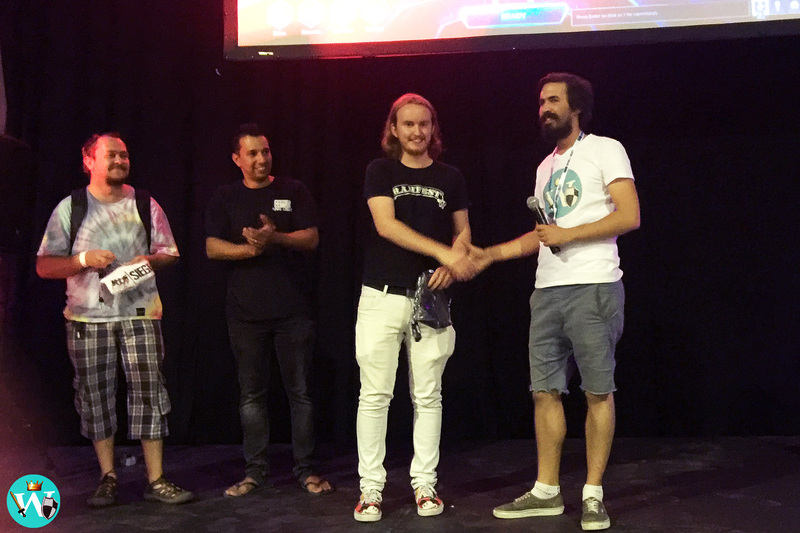 Now that we’ve all had a day or two to recuperate and fully process all that happened at Gaming4Charity on Saturday, let’s take a look at some of the highlights of our two tournaments. For our three Heroes of the Storm teams, it was a pretty long day! Bravado, Energy eSports and Ventus played a collection of intense best-of-three matches against one another, powering through some dodgy internet connections, sulky computers…and even a mysteriously initiated ‘Quick Match’ that held up the proceedings for a while. These issues, however, proved to be mere insect splotches on the windscreen of the teams’ determination to battle it out for the grand prize of R10 000, providing us with an exciting afternoon of matches, with teams neck-and-neck throughout the course of the day, sometimes separated by nothing more than a single kill. In their games against both Energy and Bravado, 3rd place team Ventus proved that they would not go down without some considerable fight, with an outright win having to be settled by a ‘sudden death’ match due to the sheer quality of games being churned out by these tenacious guys. Whittling down a winner between Bravado and Energy proved to just as challenging, with the battle between these two teams putting out some of the closest matches we’ve seen in a long time, both in terms of kills and map objectives. Energy eSports concentrate on the game as things heat up in the Final 5 Games. Round 1: this one went to Energy, who managed to secure themselves not only first blood against Bravado, but also capturing the first and second shrines on the Infernal Shrines map, and maintaining this lead over Bravado for the remainder of the game. Round 2: Bravado managed to bounce back from defeat in this round, securing victory with a final kill score of 11/4. Round 3: this game saw some upset…although not necessarily within the Nexus! Energy won the match, while off the map, what is now being referred to as the infamous ‘Ventus Takeover’ was going down, hijacking our Twitch stream to comment on the match. Well-played, gentleman! Round 4: this match saw another first blood by Energy, while the first Dragon Knight capture went to Bravado, who then went on to win the round. Round 5: it all came down to this winner-takes-all deciding match on the Sky Temples map. And it was a nail-biting one! Energy kept the pressure on, with a spectacular Boss Camp poach from Bravado at around 10:50, while Bravado made a game-changing poach of their own at around 19:34. A massive turnaround here, as Gray’s well-timed Raynor ult prevented Energy from contesting too hard without taking massive damage, allowing Bravado to steamroll over Energy, with only RandomHero’s Muradin left alive, leaving them a straight path to Energy’s Core. While you should definitely check out the full match for yourselves, I feel that a special mention should go to Energy’s FancyPants (Zagara), playing some excellent games and dropping some terrifying Maws during the day, while also putting down massive amounts of creep spread throughout the final game, making it incredibly difficult to nullify the ever-looming threat of…The Maw (evinced in his epic escape at 08:28). Good work, FancyPants! Congratulations to our winners, Bravado! They land themselves R10 000, while Energy eSports walks away with the Runner-Up prize of R2500 + some sunnies. For our faithful Hearthstoners, Saturday wasn’t exactly a cake walk either. Struggling with their own connection problems, they too powered through for a long day of intense games that have had a big impact on the current standings in the Hearthstone WLU League. Last weekend’s winner Apex was knocked out by newcomer Strike! After a grueling 40 minute Control Warrior mirror match, Apex and Strike went on to play a final match, Apex using his Warlock Deck, but meeting defeat against Strike’s Warrior Deck. This defeat now puts Apex in 3rd place in the Hearthstone WLU League Rankings, with 20 points. Strike was not the only newcomer to prove a challenge, with the Quarter Finals featuring no less than three newcomers: Strike, Klutz and Zeus. Last week’s Runner-Up, Zaymok, faced off against Klutz in the Semi-Finals, also meeting defeat at the hands of a newcomer in a Warlock vs EchoMage battle. A special mention needs to go out to Zaymok, having truly mastered the art of the epic comeback play on Saturday! In virtually every match he played, Zaymok’s first two rounds had him losing, making the third round a make-or-break situation for him. Somehow, he managed to pull it out of the hat each time; winning not only his third game, but also the following two, securing himself a spot in the next round. Even though this was not the case against Zeus, we saw some pretty impressive damage control from Zaymok throughout the day – well-played, Sir! And what of last weekend’s 3rd place player, DIB? Systematically decimating his competition, DIB went to secure himself a spot in the Finals (facing off against Zeus after he managed to defeat Zaymok). Round 1: DIB opened up with a Patron Warrior Deck, with the Grim Patrons proving too overwhelming for Zeus’ Tempo Mage Deck, allowing DIB to win himself the first round. Round 2: Zeus was able to turn it around this time, again going for his Tempo Mage, this time able to secure victory against DIB’s Maly Rogue. Round 4: DIB’s Maly Rogue returned for a phenomenal win against Zeus’ Zoo Warlock, snatching victory from the jaws of defeat when DIB’s health was incredibly low. With 3/1 wins and no need for a fifth round, that made DIB the Hearthstone winner of the day, and a well-deserved win it was! Congrats, DIB! DIB’s winnings included R2500 + a tshirt + lanyard. Zeus, our Runner-Up, walks off with R500 + a tshirt and a lanyard, too! And what of the Rankings, you ask? DIB is in 1st place, holding a substantial lead over the others, which is not too surprising when his match win/loss ratio is around 84%. Zaymok comes in at 2nd, racking up a sound 25 points thus far. Last weekend’s winner, Apex, is not out of the running, tying for 3rd place with none other than SirJosheppi, as well as Inflicted, each of them totaling 2o points. The next Tournament will mean a lot for these three players, as it should break up the tug-of-war going on for 3rd place. Newcomer Zeus is sitting with 15 points, while another newcomer Stuyvesant, is just behind him with 13 points.